The boys and I are at a dog show at Onley which is near Rugby but we have a late start so that means L is out of the house before us. She is heading to Long Eaton parkrun where she runs an excellent 30:19 with her friend as a pacer. Then she embarks on a Grand Tour of sorts which involves, apparently, the world’s biggest bacon butty at the Apple Tree in Ockbrook before ending up at her Mum’s in Mickleover. Meanwhile at the dog show we have not made a great start. MD refuses a jump on both his first two runs and also missed a weave entry on one of them. Rather frustratingly his contacts, which are his usual downfall, have been excellent. We don’t make a great finish either. He has poles down in both his last two runs although both runs were much better than his first two. So no clears today which means no rosettes. The upside is that we are all finished by lunchtime and that’s after having a late start as well. If only all dog shows were like this. We head home and then head over to Mickleover to pick L up. We have been invited ice skating tonight in Nottingham's ‘Winter Wonderland’ with L’s sister's fmaily and even for a drink in the ‘more money than sense’ Ice Bar, although it turns out they couldn’t get tickets in the end. Instead we go out for a relaxed film and pub night. First we check out the new ‘craft’ Lord Nelson which had a spell as the awful Mirage fun pub but it’s packed. We’ll have to come back as it might be ok when it loses its appeal. Instead we have a pre-film drink in the Lord Roberts. A United Kingdom is set in post-war 1940s London and based on the true story of Seretse Khama, the heir to the throne of Botswana or Bechuanaland as it was then. The events portrayed in the film are factual but not that well known in the UK. I personally knew little of this story before watching the film but I do now. I do love a good education. 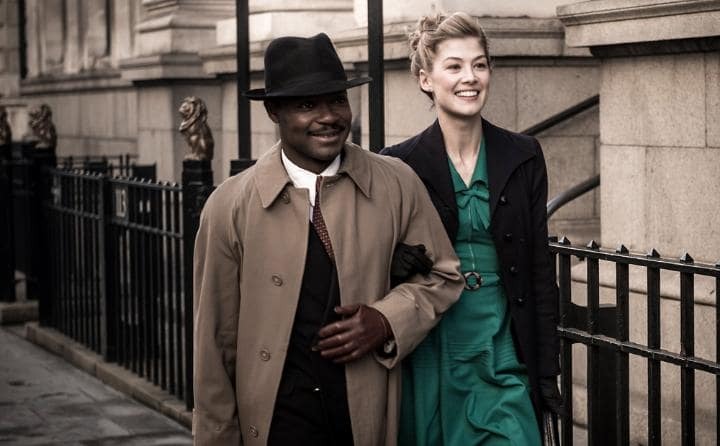 Khama (David Oyelowo) is over in London studying while waiting to take over as leader in his own country. He inherited the rule as a young boy but his uncle is ruling as regent until he is old enough to take over. 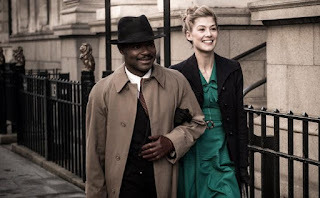 It is while he is in London that he meets every day young lass Ruth Williams (Rosamund Pike), the daughter of a salesman, at a church dance that oddly seems only to attract black African men and white British women. The Daily Mail would have had a field day. He and Ruth hit it off, fall in love and marry. All rather quickly. We've seen a couple of films with instance romances recently. Naturally this mixed race marriage is going to raise a few eyebrows and being shunned by her father (Nicholas Lyndhurst) turns out to be the least of their worries as she moves to Botswana with her man, not quite knowing what she's getting herself into. 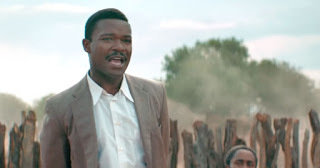 When they arrive in his homeland, his choice of queen does not go down that well with the locals, with his uncle or indeed the British government whose protectorate Botswana is currently under. They all refuse to accept her and call for Khama to either give up his new bride or to give up his country. Khama then seems to win over his people with his ‘I love my people’ speech but this does not work with the British government who are in hoc to the South African government, who are in the process of implementing their policy of apartheid. Naturally the prospect of a black leader in a neighbouring country marrying a white woman does not sit well with them. 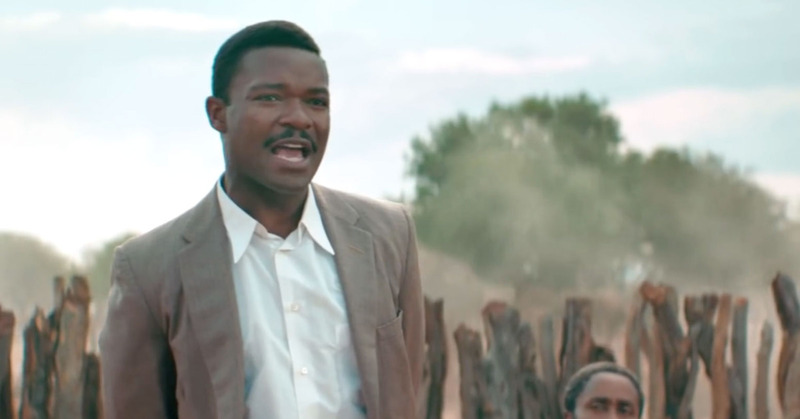 The film takes us back and forth between a drab post-war England and bright sunny Botswana as it documents the political struggle that ensues. 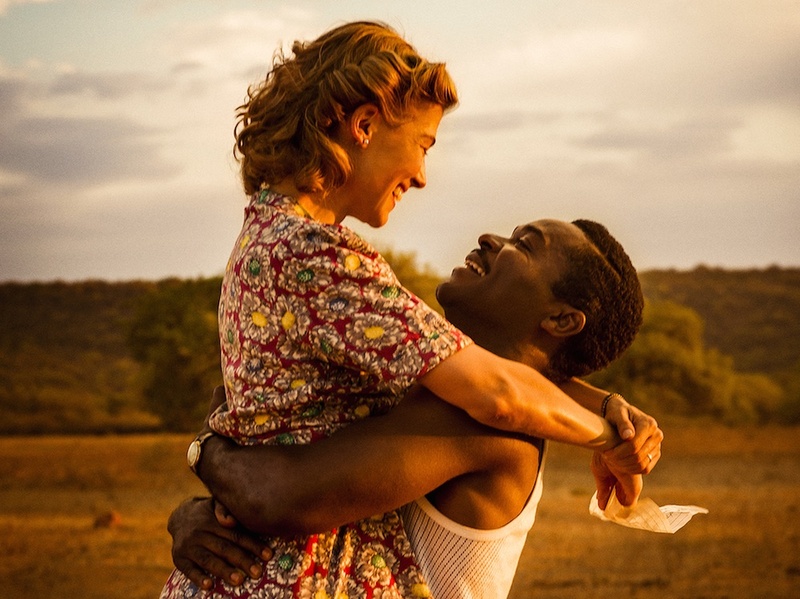 Prime Minister Clement Attlee exiles Khama from his own country leaving his newly pregnant wife marooned there where she actually makes a decent fist of being queen-elect and eventually wins over the people of Botswana. There is hope when Winston Churchill, the leader of the Opposition, promises to reverse Attlee’s decision were he to win the forthcoming General Election. However, when he does, he changes his mind and takes an even harder line than Attlee did. A solution comes in the form of diamonds. When there are discovered in the territory they belong to the people under a Protectorate but if they were a colony, as they British government wanted them to be, they wouldn’t have. This knowledge enables Karma to reconcile with his uncle and they agree that he should he a renounced the throne allowing him and his wife to return to the country as private citizens while setting the country on a path to independence. Independence which is fulfilled in 1966 when Karma himself becomes the first democratically elected president of the Botswana. Their son is now the current President. It’s a decent, if unspectacular film, which seems to be at least accurate in the majority of its historical detail which is rare these days. Well worth a look. Afterwards it’s drinks in the Scribblers and the Blue Monkey.